"Christ's Kingdom is bigger than our causes. Christ's Kingdom is bigger than our boundaries." 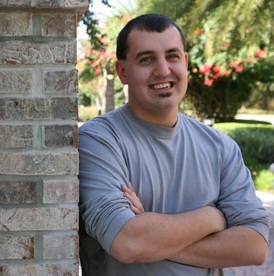 Nathan Bryant is a church leader from Central Florida. He is a champion for incarnational ministry and recently helped a church turn the corner from an attractional ministry model to a neighborhood focused, missional model. 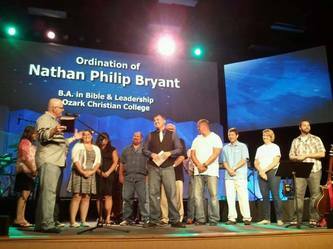 As a student at Ozark Christian College he majored in Leadership, New Testament Studies, and minored in Missiology. Nathan has a passion for unity in the global church through dialogue and spiritual formation. In 2014 Nathan attended the Leadership Institute in Phoenix, AZ where he continued his education from other pastors and educators at one of the fastest growing churches in the United States. He is the founder of Inside and Overneath, a bible and life skills teaching ministry geared towards teens. Most recently, he is now focusing on college students and young adults as a pastor with "The Zoe Project" a para-church group reconnecting and reintroducing people to the Church who may have walked away. He also joined Mockingbirds and Mariners, a podcast devoted to sharing stories, experiences, and insights into culture at large and culture within the Church. He has served in multiple roles and ministries including youth, college age, adults, small groups, and senior adults. A crazed sports fan, he enjoys watching college football and playing fantasy football. He loves to play Ultimate and has a disc with him at all times. He can usually be found in a coffee shop reading a good book, throwing a frisbee with some friends, or his new found hobby sailing a sailboat.